The MDC has moved to clear the way for key allies of its leader, Nelson Chamisa, among them vice-president, Welshman Ncube and deputy chairperson, Tendai Biti to contest in the forthcoming congress for positions of their opposition party's choice. The opposition party's congress guidelines, released on Thursday state that members interested in contesting a provincial and national position should have served the MDC or their previous party for a minimum of five years. MDC spokesperson, Jacob Mafume confirmed Biti and Ncube were free to contest positions of their choice as the five years criteria does not affect members who came from other formations, who agreed to re-join the main opposition party. "We are one party, we are looking at your history in the other party because it will have to be considered as well," Mafume said. "This is to avoid a situation where somebody joins the party today and say I am eligible. If you were in any other formation we look at your history there and check if you were in any leadership position in that formation." Mafume said although Poeple's Democratic Party and MDC (formerly led by Ncube) formations were dissolved, there might be variations on other people. "These rules will be applied with the sensitivity that every rule is applied with. There are exceptions and variations for good reason," he said. According to the congress guidelines, those who stood as independent candidates in previous national polls were automatically disqualified from contesting and participating in the congress processes. "A person who is violent or associated with violence will be automatically disqualified," the guidelines read, adding that a member who take bribes or give bribes would also be disqualified, as will those who promote factionalism. The nomination process for national positions will be presided over by an independent board appointed by the national executive. For one to be elected, he/she must at least have one nomination from the province to national. The party is preparing for its congress following the death of founding president Morgan Tsvangirai, who succumbed to cancer last year in February. Chamisa is likely to face the challenge of secretary-general Douglas Mwonzora, the man who beat him at the 2014 congress for the secretary-general's position. According to the timelines provided in the document, branches are expected to select their leaders between March 10-17 2019, ward (March 22-24), districts (March 29-31), provincial congresses will be held on between April 5 and 27, external assemblies and students' councils in April. Youth and women assemblies' congresses will be done a day before the main wing at all levels. Meanwhile, Chamisa today visits Mutare, which is regarded as Mwonzora's stronghold, for a rally. MDC Manicaland spokesperson Trevor Saruwaka yesterday dismissed reports that there were factions in the province. "There is nothing unusual that is happening in our party. We are ready for the congress as a province and party." He said Manicaland had the highest rural vote for Chamisa in the July 30 2018 polls. Rural constituencies are regarded as the ruling Zanu-PF party's stronghold. "Our president is coming to outline the way forward. He is also coming to address the question of (President Emmerson Mnangagwa's) legitimacy, the question of the economy." But problems continue to haunt the MDC with some "party supporters" yesterday petitioning Mwonzora to immediately call for a congress to select new leadership, claiming the Chamisa-led executive was illegitimate. The petition, which is also copied to Chamisa and his deputies Morgen Komichi and Elias Mudzuri, claimed Chamisa's stay was in contravention of sections of the MDC constitution. "We, the members of supporters of the MDC that subscribes to the MDC constitution of 29 January and as last amended by the MDC congress of October 31 2014, do hereby, draw your attention to section 9.21.1 and 6.2.5 of the MDC constitution, and to call upon you, as the secretary-general of the MDC in the Alliance, to call for an extraordinary congress of the party as required by the constitution without further delay," part of the petition read. "It is our desire, as signatories to this petition, to see the MDC constitution being followed to the latter and spirit." 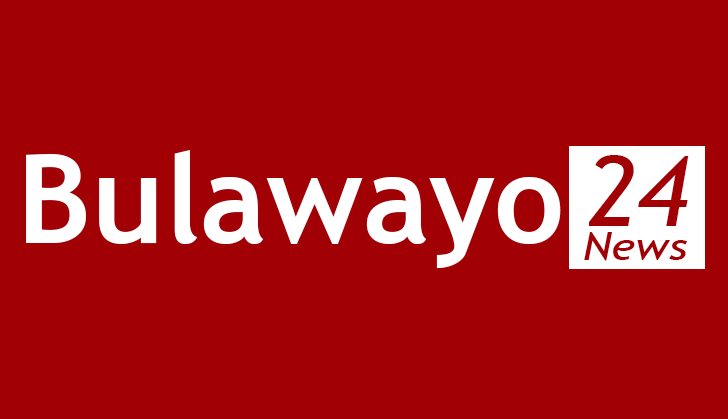 Yesterday, the group, represented by Leonard Chisvo, told journalists that Chamisa was an illegitimate leader and urged Mwonzora to call for an urgent congress, demanding that only members who formed the party structures of the 2014 congress should be allowed to vote. "The national council cannot, therefore, arrogate to itself the power and authority to curtail the tenure and longevity of all structures of the party from branch to national levels," Chisvo said. "The tenure and the structures run up to October 2019 and there is no reason not allowing it to run its full course. We are aware that this was a vain attempt to sanctify the presidency of Chamisa whose problem can only be resolved by an extra-ordinary congress which Chamisa and surrogates cannot legally stop."